The Hardcover is sold out. William Tyndale, 1535: This is Tyndale’s last New Testament as it was taken into the Matthew Bible, completed just before he was captured. In 1536 he was martyred. Few realize that the King James Version relied heavily on Tyndale. Therefore readers will find much that is familiar here. John Rogers, 1537: A year after Tyndale died, Rogers published his New Testament together with notes and commentaries in the little-known but important Matthew Bible. King Henry VIII then licensed it, and the Matthew Bible was authorized for use in the churches. In 1555 Rogers was burned at the stake by Queen Mary. 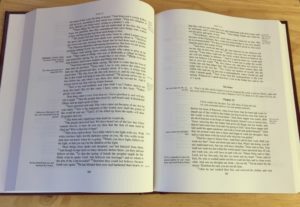 Ruth Magnusson Davis, 2016: Now, almost 500 years later, Ruth M. Davis has updated Tyndale’s scriptures and Rogers’ notes with a gentle hand, guarding the historic language and truth of the faith. As well as the notes and commentaries of the New Testament from the 1537 Matthew Bible, Ruth added some additional treasures. 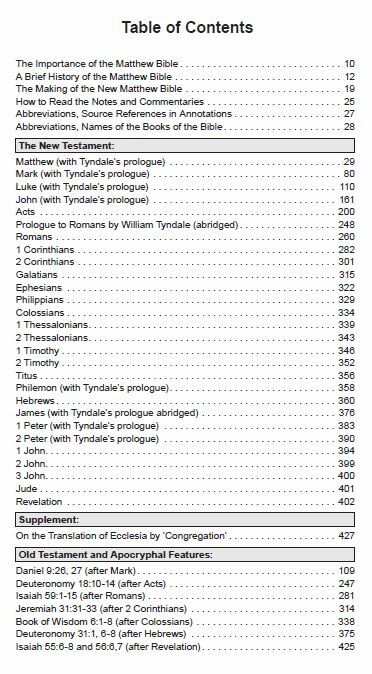 The MB already contained Tyndale’s 1534 prologue to Romans, which Tyndale drew mainly from Martin Luther (so readers may learn his mind also about this “most pure evangelion,” as he called it). But Ruth also added some of Tyndale’s 1534 prologues upon the gospels and epistles along with some marginal notes that Rogers omitted. As well, there are commentaries from Luther, from the great preacher St. Chrysostom, and other jewels. 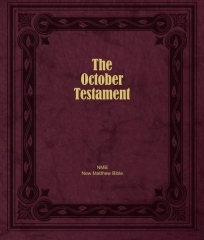 Why October Testament? 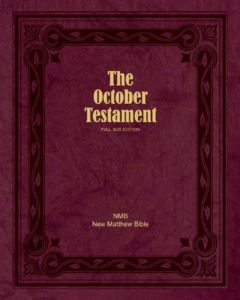 The reference to the month of October recalls Martin Luther’s September Testament. 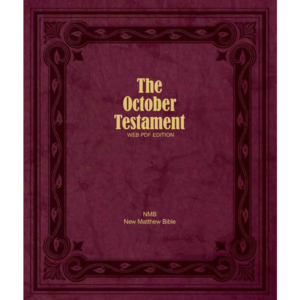 Also, because the advent of October signals that the end of a year is approaching, it is a reminder that the year of our Lord is drawing onward to its close. Font size, main text: 11 points. Both formats open easily and lay flat. 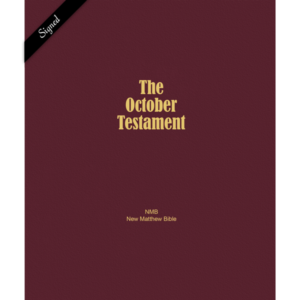 After publication in 2016, the October Testament was periodically emended through to October 2018. 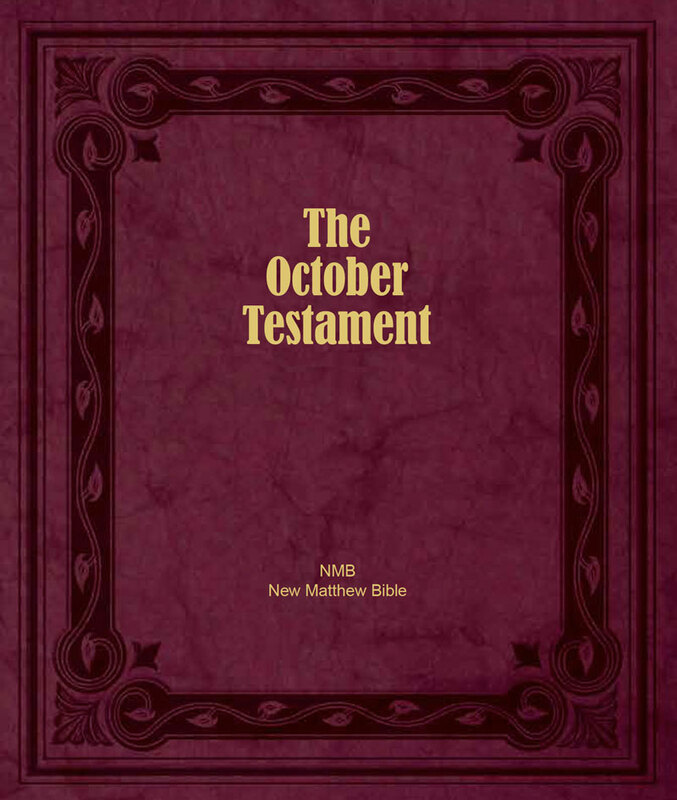 The revisions have been supplied to Bible Gateway and Olive Tree, who carry the New Matthew Bible in their online and bible-app platforms. However, sometimes it takes time for them to catch up, so they are not always up-to-date. Most revisions were to correct minor typos or formatting, but some were editorial. 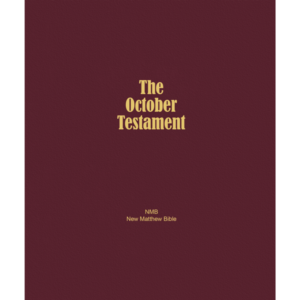 All editions of the October Testament after July, 2018, include a short section explaining the important updates.